Lew Bryson says he’d like to see “less arguing about beer, more enjoying beer” in 2019. It’s that time of year when, besides all the holiday celebrations, we reflect on the past 12 months and see countless lists of the best movies, books, TV shows, events, and more. So why not a look back on the year that was in beer? 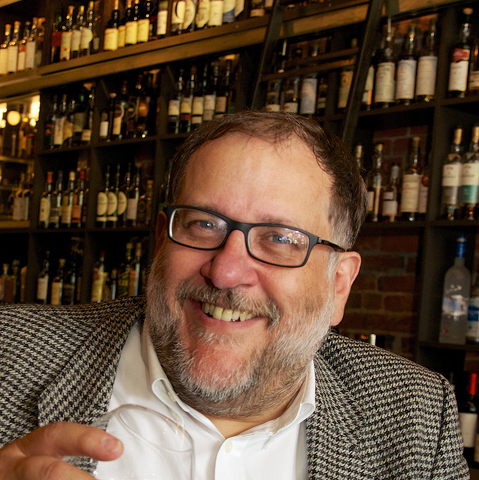 For that, we wanted to hear from beer expert Lew Bryson, who has been writing about beer and spirits since 1995. Bryson lives in Bucks County and has written four brewery guidebooks, including Pennsylvania Breweries, and he also is a contributor for The Daily Beast and All About Beer magazine. He took time to share his take on how 2018 was in the world of beer. T&G: When you think of 2018 in beer, what comes to mind – nationally and also from a Pennsylvania perspective? Bryson: This year continued to deliver good beer stories. Big brewers continued to buy craft breweries, which also continued to merge and consolidate, further blurring the line between mainstream and craft beer. Some of the biggest craft brewers struggled with image and sales problems as drinkers continued to shift to supporting smaller, more local breweries. That support increasingly took the form of direct purchases at brewery taprooms. Pennsylvania brewers took full advantage of the new legal freedoms allowed under Act 39 (which allows grocery stores and convenience stores to sell wine and beer), and increasingly, customers were able to buy Pennsylvania-made cider, wine, and cocktails as well as beer. Satellite taprooms are popping up as well, and this is likely to cause friction with bars and restaurants, given the rising cost of liquor licenses. That’s due to purchases of licenses by supermarkets – another major beer story in Pennsylvania this year – as beer purchase options continued to expand. Beer itself saw more new styles gain prominence. Hazy “New England” style IPAs took off, setting a record for number of entries in their first year as a separate category. But the anti-hazy IPA already exists – so-called “brut IPA” started on the West Coast and quickly spread to Pennsylvania. They are bright and clear, brimming with hop aroma and flavor, but with shockingly low bitterness. I’ve seen four made in Pennsylvania already. We also have the fruit IPA, the milkshake IPA, and “pastry” stouts, a wave of sweetened, flavored beers that are commanding big prices. One trend Pennsylvania is not participating in is the new interest in lagers – we’ve been there for years! T&G: What were your most memorable “beer” experiences in 2018? Bryson: Top was a trip to Portland, Oregon, I made this year. Had my first brut IPA, walked to six breweries one afternoon, returned to Bridgeport after 20 years, and drank great beer all over town. I also did a long interview with Al and Terry at Pizza Boy Brewing – that was the top Pennsylvania beer experience of the year. T&G: What were the five or 10 best beers you had this year? Bryson: I am not a raving hophead. I like IPA, but it’s not my be-all, end-all. Cask Bombardier from the Eagle Brewery of the UK. Easily the best pint all year. Russian River Blind Pig. Prefer it to either Pliny. Pizza Boy Olden Times Cream Ale. I could drink this all day long – and I have! Fresh Fuller's ESB. Hard to beat this one. Brut IPA, Dirty Pretty. First of the class for me, an eye-opener. Bourbon County Wheatwine 2018. Watch for this one on Black Friday. Killer. Yards Brawler and Elk Creek Brookie Brown. Two beers I buy time after time after time. They must be doing something right. T&G: For the past few years there’s been the prediction that the craft-beer market will become too saturated and have a tipping point. What’s your opinion on that? Bryson: I think we’ll see more breweries close – that's inevitable. But there are still underserved towns in Pennsylvania that have only one brewery or none at all. If you make good beer, you can sell it on premises and make money with a minimum of fuss. Look, there are over 3,000 towns in the U.S. with 10,000 people or more. I’m going to be retiring in Millheim, a town of about 900 people, that’s supported an excellent brewpub for 10 years. Do the math. We’re nowhere near saturated with small, local breweries. What we may have is a large brewery saturation – and I think we’re seeing that. The biggest will have to adjust, or find the secret to appealing to the locavores. That said, I think there is a reckoning coming on craft-beer pricing. A four-pack of beer for $20 that explodes if you leave it out of the fridge for a month is a market that’s just waiting to crash. I hesitate anytime I see a price over $10 for a six-pack. That’s $40 a case, and you can get really good beer for less than that. This can’t continue. T&G: Anything you’re looking forward to for 2019? Bryson: More good lagers. Less arguing about beer, more enjoying beer. And I’d love to see a brewery open in my town instead of in the towns around it. The Philly and Pittsburgh suburbs are under-breweried. Erie and the Wyoming Valley are under-breweried, Williamsport, the Lehigh Valley, Altoona, Chambersburg. I’d love to see every town like Phoenixville – five breweries and a satellite tasting room, three winery tasting rooms, and a distillery, all in three blocks on the main street. All doing well, along with bars and restaurants. That’s success.